A few weeks ago marked the onset of major changes in the landscape of social gaming: Google announced plans to launch its own social gaming service and Disney purchased social gaming company Playdom for $763 million. Playdom is currently vying for second place in the social gaming industry, battling with Electronic Arts and other competitors. 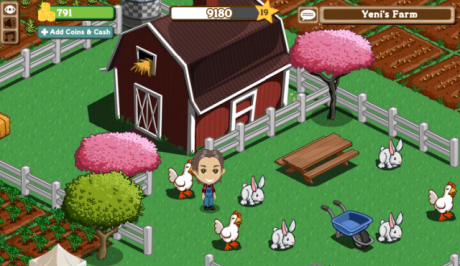 Industry leader Zynga is the developer of FarmVille, the wildly popular Facebook application that is set to bring in $500 million in revenue this year. Another factor that could have a major impact on social gaming is the possibility of a repeal on the ban of online gambling. At the end of July, the House Financial Services Committee voted 41-22 in favor of new guidelines that would regulate, but not outlaw, some forms of online gambling. If legalized, the federal government could bring in a great deal of revenue by heavily taxing online gambling. Real money gambling could increase opportunities to generate revenue for social game developers as well. Currently, Zynga leads the market in online gambling games—played with fake money, of course. Zynga’s Texas HoldEm Poker is one of Facebook’s most popular games, second only to Zynga’s FarmVille. Playdom recently announced that it will launch World Series of Poker in the near future. But what, exactly, is fuelling the huge social gaming growth that we have witnessed over the past few years? For game developers, social gaming is an easier and less expensive alternative to console games. Graphics don’t have to be as high quality or complicated as console games and soundtracks and voice-overs are usually unnecessary. Furthermore, social gaming developers can update their applications as needed, fixing any glitches and staying up-to-date with gaming trends. Social gaming also offers the perk of easy to access feedback—developers can track usage for social games and listen to comments on the social media sites that host the games. Furthermore, social gaming is attractive to users because all they need is a computer and a social media account. Since most games are free, there appears to be no downside to trying out a new game, and after trying out a popular application like FarmVille, many consumers claim to be hooked. Finally, social gaming offers lots of opportunities to create revenue at relatively low costs. By taking advantage of affiliate marketing and encouraging consumers to purchase in-game currency to acquire digital “products,” social gaming developers can generate profit as with very low production costs. Although predicting which games will take off in popularity can be difficult in social gaming, ease of development, low costs, and the potential for high profits reduce risk for social gaming developers and make the industry attractive to entrepreneurs and big businesses alike. Despite its critics, social gaming will likely continue to grow in popularity, especially with the new additions of Google and Disney to the market.